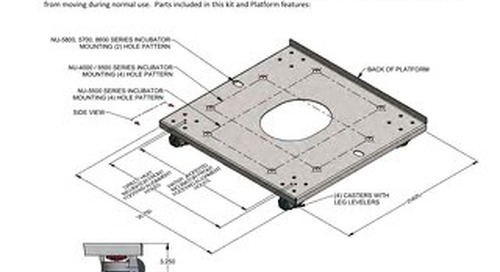 NuAire recommends the use of this CO2 Incubator humidity water pan for when copper components are desired as a part of the chamber contamination control. 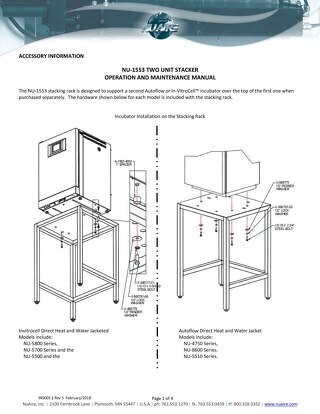 Place the pan on the bottom of the incubator chamber. The pan should be surface disinfected before usage with 70% alcohol or similar disinfectant. 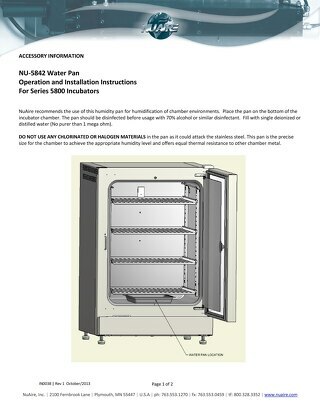 Fill with single deionized or distilled water (No purer than 1 mega ohm). No other additives are required for effective antimicrobial properties. 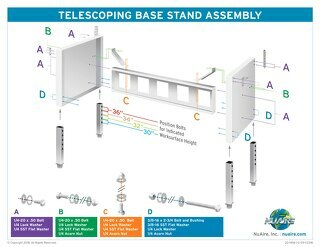 Learn how to properly assemble a telescoping base stand from NuAire to fit anyone of our Biosafety Cabinets (BSC), Laminar Airflow Workstations (LAFW), and more. 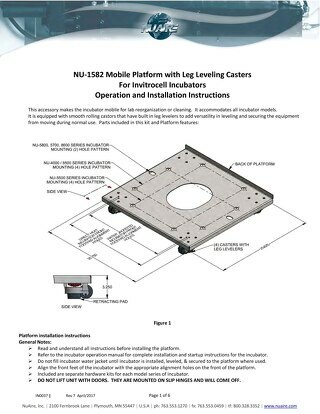 The NU-1582 Mobile Platform for CO2 Incubators features leg leveling casters adding mobility for lab reorganization or cleaning. 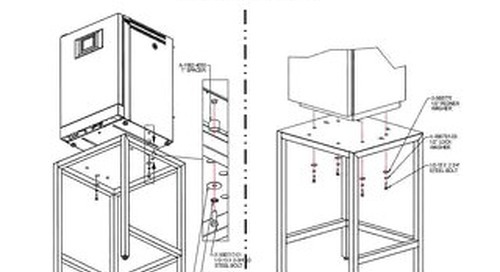 The NU-1550 CO2 Incbuator tank switch has been designed to provide reliable service to perform the critical backup gas tank switch for a tissue cell culture incubator.